Here's another quick, stolen-from-Umezz.com article while I finalize some captions for the 108 Taco Che post pictures. 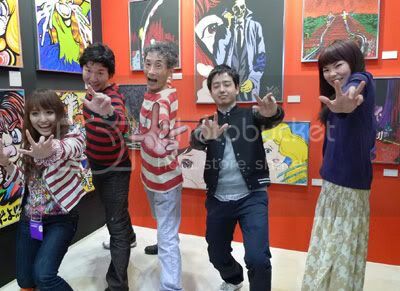 According to a recent post, Kazuo Umezu created a piece and participated in the 101TOKYO Contemporary Art Fair 2009. The fair is an expo of pop and fine art, held annually in Tokyo and going on now from April 2 - 5. For a "CHARART" (character + art?) 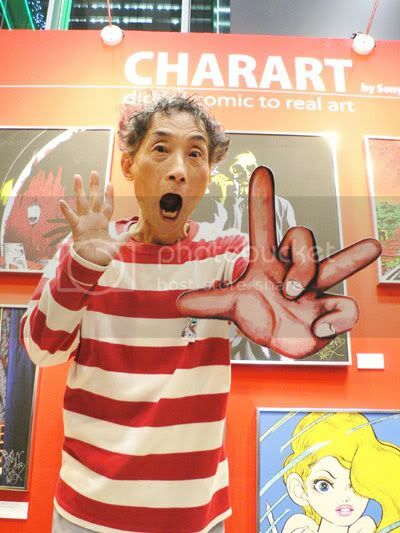 comics exhibit, Umezz created a new art print with some Sony Digital tie-in. 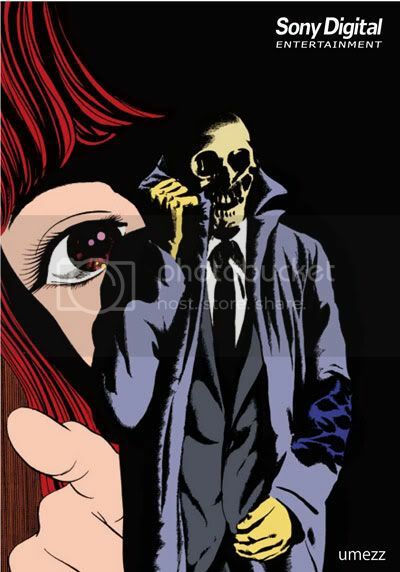 The piece is signed by Umezz and features a creepy, noir-ish image from a 1969 Orochi comic of his. Rocking the Gwashi! in front of his piece. I don't see Demerin, who are these other fools? 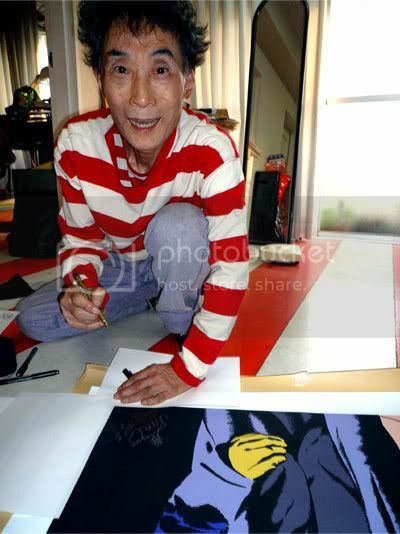 Signing the print... inside the Makoto-chan house! Sony logo aside, this is pretty wicked. If you happen to be in Tokyo, it's 10 bucks to check out the event, though their website didn't make it seem quite up our alley (beyond the Umezu-connection). Nate won't be attending because dude will be in California this week! We are hanging out this weekend, and I hear he's bringing signed Kago goodies for me (and stuff to give away via Same Hat). Will keep you guys posted! its your surname is demerin?